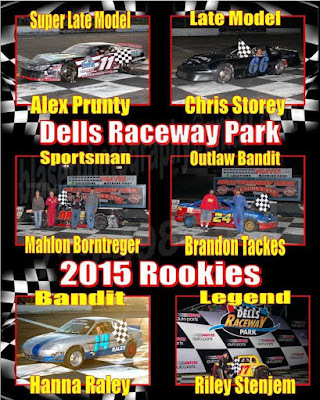 Alex Prunty Racing: 2015 Dells Raceway Park Dash Series Champion & Dells Super Late Model Rookie of the Year! 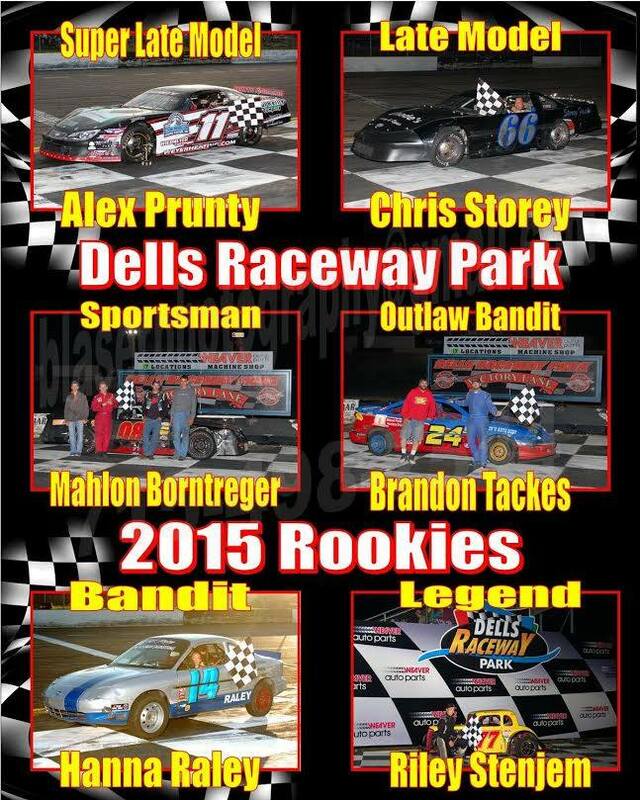 2015 Dells Raceway Park Dash Series Champion & Dells Super Late Model Rookie of the Year! We had a fantastic car at the Dells after trying a completely new set-up in the morning during practice! All the hours paid off as we were 2nd quick in practice to Tim Schiendel, the former NASCAR Nationwide Series star! He turned a lap of 13.734, we turned a lap of 13.738, or a difference of 3 inches on the track! Qualifying was up next, and I qualified 8th after a slip up out of turn 4. Have not quite mastered qualifying on the cold tires at the Dells, as they are like driving on ice when cold. None the less, we qualified into the fast dash, as well as the feature. After starting last, we worked our way up to the 7th position in the 10 lap dash, ultimately winning us the 2015 Super Late Model Fast Dash Championship! This wins us a big trophy and a $1,000 check at the banquet to be held in January! We started on the pole for the fast heat, and WON! We then started the feature in the 6th position and constantly found ourselves stuck in the wrong lane to be dragged backwards, but when the checkered flag flew, we found ourselves picking up another top 5 finish, only behind seasoned veterans, all who have won many races at the Dells. Very exciting night, as we were then crowned "Rookie of the Year!"